Videos come in many different formats. Let’s say you have down loaded your video (sheee we won’t tell). Now suppose you want to watch it on your ipad, your Android smartphone or even your laptop. However depending on the format that was used to create the video (say .mov), it might not play properly. Some of the other formats supported by ipad2 are: .m4v, mp4, .mov. That is why you need a video converter, a utility that changes a video from one format to another. I can recommend one that’s easy to use and even better it’s free, yes that’s right it’s free. It has the very unusual name of Hamster Free Video Converter . I use tinyurl to copy and paste in a web address because it reduces the characters in this case from 79 characters, to 26 characters: especially useful in the character restricted Twitter. Anyway I am getting side-tracked. 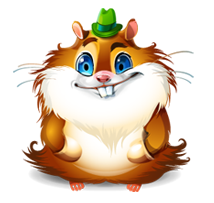 Using Hamster Free Video Converter is a three-step process. First, you select the files you want to convert, either by navigating a file menu or by just dragging the file or files to the Hamster window. Second you choose a generic output format e.g. (AVI, MPEG or WMV) or a specific device: Apple TV, IPod Touch, HTC phone, or whatever. Hamster has pre-sets for 16 different gadgets. Once you have chosen your output click a button and sit back while Hamster goes to work, it doesn’t get much easier than that. TIP: During installation be sure to choose the customization option and to disable the blekko toolbar and Anti-Domain Phishing Advisor that the application wants to install. We can do without the sneak ware. Now comes the difficult part, how to get the movie on to the Ipad2. There are many ways using wifi ( E.g. Air Video, or Air Playit which also streams music from your PC over your wifi, both require installations on your PC and Ipad2 )but for this exercise we are working on the fact no wifi is available, or you want to watch a movie where there is no wifi. One option available is to use a 5 in 1 Camera Connection for Ipad2, cheap enough to pick up in Ebay for under 10 euro. The 1pad is not powerful enough to run a large size USB storage stick, I have tried with an old 500mb stick and it picked up on that ok but any bigger and it will be a hit and miss affair. It works better using a memory card. The trick is to make sure the name of the video or photos you have on the card or stick is exactly 8 characters in length and only has a three letter extension. E.g. mymovies.mp4 or p0000000.jpg. and all have to go into a folder named: DCIM. Your iPad then automatically opens the Photos app, which lets you choose which photos and videos to import, then organizes them into albums. Try out different sizes and formats to see which works better. Informative article! It\’s nice to read information from someone that knows what they are talking about. Hopefully, not to mention I would be quickly corrected if it was,t ..thank you.. It all depends on what platform the website or blog was created in. If its a well know blog website like wordpress or blogger all compatibility issues should be well dealt with before any posts are published. I’ve been using wordpress for the last 12 months and I have never encountered any problems using it. Great points altogether, you just won a new reader. What would you recommend about your post that you made some days in the past? Any positive? Thank you, as to what do I recommend depends on whats the topic..lol…if its movies to play in the ipad i have found the Apple option in the Hamster Free Video Converter works great. I have tested it using different short movies, my own and downloaded YouTube music ones and and they all played perfect. With havin so much written content do you ever run into any problems of plagorism or copyright infringement? My website has a lot of exclusive content I’ve either authored myself or outsourced but it appears a lot of it is popping it up all over the internet without my authorization. Do you know any methods to help stop content from being ripped off? I’d really appreciate it. To be honest once you put something up on the Internet it’s available to who ever comes across it, morally right or wrong. A concept a lot of people do not realise especially when it comes to photos etc. Of course copywrite can be put on something but unless you are willing to follow through its pretty difficult to enforce. Copyrights are usually territorial, which means that they do not extend beyond the territory of a specific country so could be pretty expensive to cover all countries. The item to be protected must meet minimal standards of originality in order to qualify for copyright, and the copyright expires after a set period of time. In most jurisdictions the copyright holder must bear the cost of enforcing copyright. I am sure there is a lot more information out there on copywrite you can check up on. But the only sure way to protect original work is not To post it on the Internet because then it becomes publicly available. I’m amazed, I have to admit. Rarely do I encounter a blog that’s both equally educative and amusing, and without a doubt, you’ve hit the nail on the head. The issue is something too few men and women are speaking intelligently about. I am very happy that I found this during my search for something regarding this.